LED Lighting is becoming a very popular low energy lighting option, especially when comparing them to halogen and conventional incandescent filament lamps. Another big advantage is their very long lifespan, and the energy saving potential of LED lighting is especially valuable when used in standalone power systems. LED lighting is a great new technology, and as with all new technologies there are some important things to know and pitfalls to avoid. Keep quality in mind; the lights need to last a long time to be economical. Consider the best colour temperature (Kelvin) for the room/application. Make sure the beam-spread angle, and emitted direction is suitable for the application. Check the Colour Rendering Index; the higher the value the better for interior applications. Take care not to over or under illuminate different areas with the wrong power level. If using recessed lighting (down lights), try to obtain the new sealed or flush mount versions – these won’t create a leaky air draft from the room into the ceiling cavity. Most LED lights are not dimmable. If these are required, choose specifically dimmable lamps, the correct dimmer type, and suitable lamp drivers. If unsure about a large lighting project, consult a lighting specialist about the correct ones to buy for different areas of the home. Problems to watch out for. 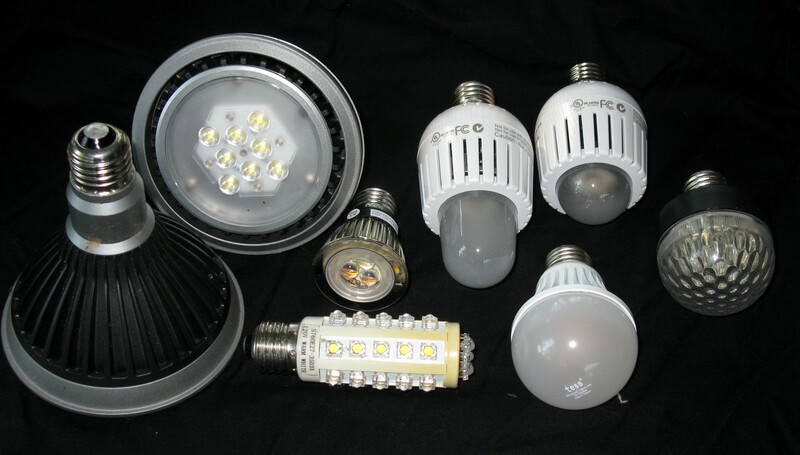 LED lighting works very differently from other lighting types; it has its own unique operational characteristics and problems to watch out for. Many people have experienced problems with LEDs, but with some knowledge these problems can be avoided. Use LED lights that need a separate driver/supply. The LED driver/supply unit needs to be specifically designed for that lamp, and have a well-filtered output. Never use halogen lamp transformers to power LED lights as they will damage or shorten the LED lifespan, and can cause low speed light flicker (very annoying!). LEDs are very susceptible to ripple current damage from unfiltered or incorrect lamp driver units. LEDs powered from unfiltered or incorrect lamp driver units can also have a high speed light flicker problem, which may not always be immediately apparent. By using a high quality filtered lamp driver, high-speed light flicker can be completely avoided. For outside lighting applications high-speed flicker may not matter at all. Only use a licensed electrician for installation, and ensure safety and fire standards are fully complied with. Ask your supplier whether the lamps will flicker at high speed, and ask if a high-speed video is available. High-speed flicker LED flicker can be tested with the aid of a high-speed camera. LED lights powered from a well-filtered or constant current LED driver will have no or very minimal flicker. Why Such High Electricity Prices?